It is mud season in Indiana, as evidenced by my store floors, my dogs paws, and the spectacular crop of dandelions in our front yard that is still a bit soft to mow. The area farmers are out making huge piles of debris in the corners of fields that are too wet for plowing, so most late afternoons there’s a haze of smoke as they burn the sticks and branches blown down in spring storms. We’re not quite ready to open the swimming pools or drag the patio furniture out of the garage, but we’re all ready to be outside. 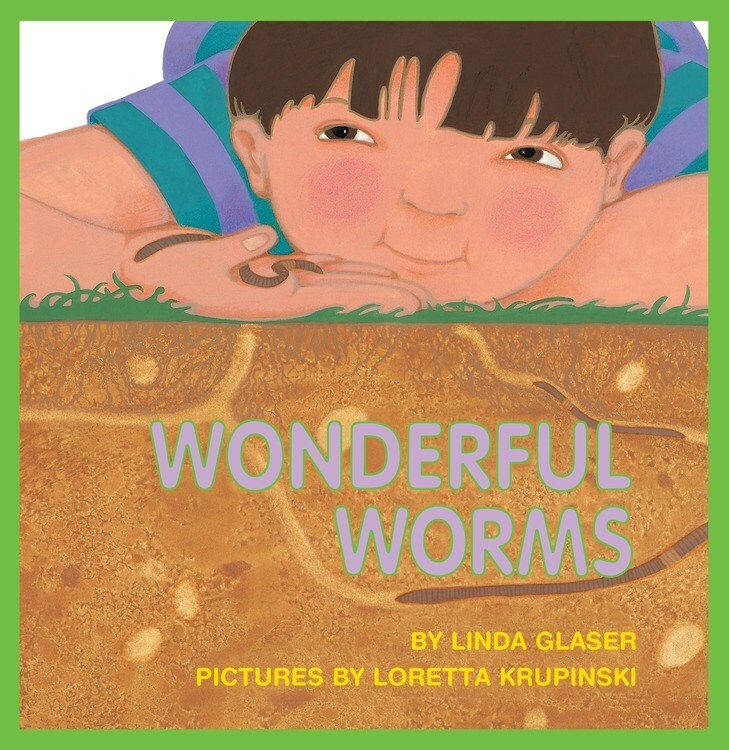 Its a perfect time for kids and their grown ups to put on some boots and go investigate the crawly things under rocks and logs, and an even better time for a store display about worms. When digging into books about creatures beneath our feet, it’s hard to do better than Denise Fleming’s UnderGROUND (Beach Lane, 2012), which combines concisely presented facts about different animals and ways they use the underground for homes, for egg laying, and for hunting for food, with gorgeous pulp paper collage and paint illustrations that seem simple but are as complex as the ecosystems they describe. 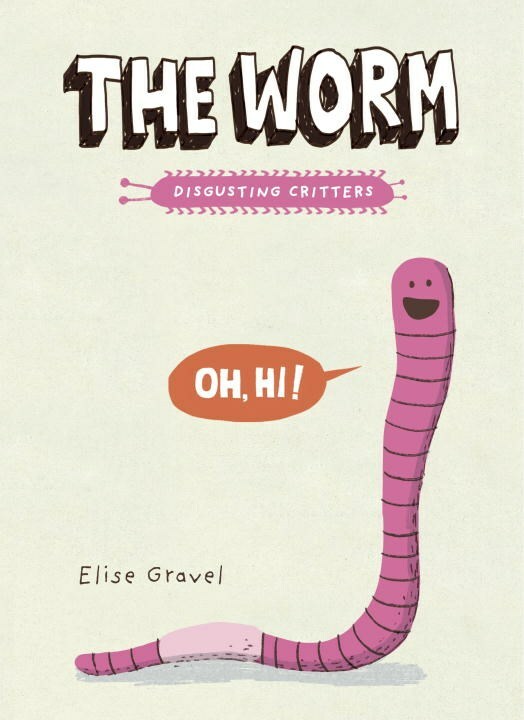 A recent storytime participant told me that she has “ALL those maminals in her yard, too!” which is exactly the curious tone of this book – look, isn’t the world exciting? Why are grownups in such a hurry all the time, when there’s so much to see? 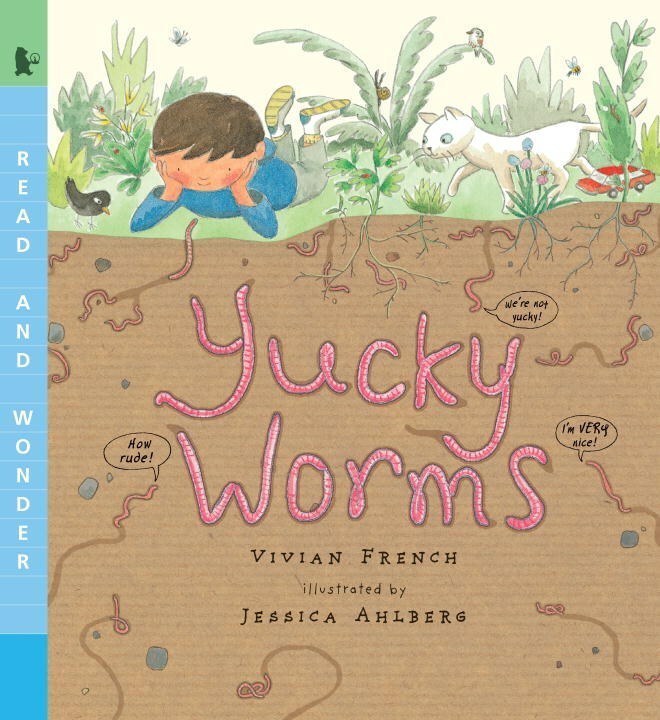 Two other titles, YUCKY WORMS by Vivian French (Candlewick, 2012) and WONDERFUL WORMS by Linda Glaser (Millbrook Press, 1994) are alike in the most important ways in spite of their opposite sounding titles. 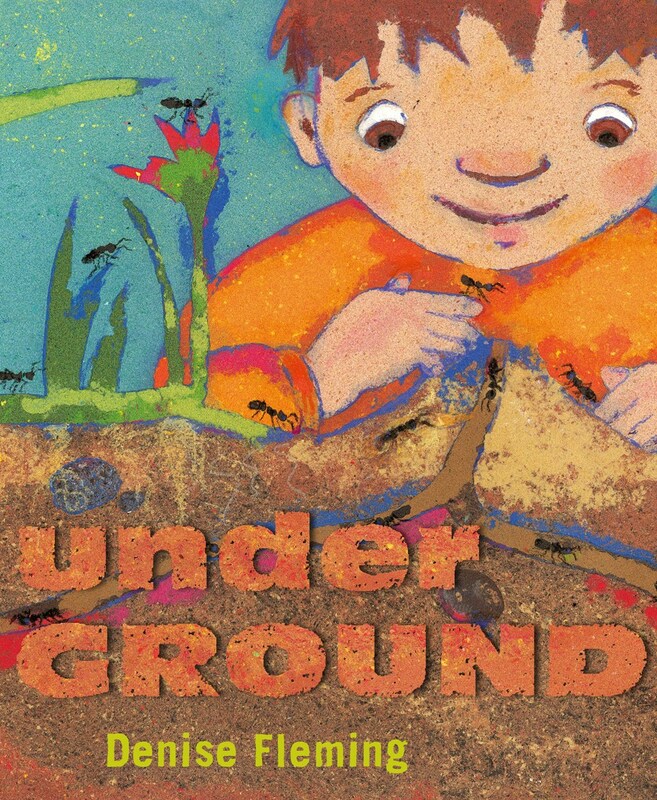 Both books put the child on the cover right down next to the dirt, up close and happily interacting with nature. No adult in the picture is telling either child to get up off the ground, or not to get their clothes dirty, and this perfect modeling of patient scientific observation does much to encourage young naturalists. The illustrations in both books show fabulous cross sections of the world below the surface, portrayed as much larger and deeper than the scene above. So many parts of the world are hidden to children by walls or things and people taller than themselves, and so it seems all the more interesting to see the busyness of the life beneath their feet. The children’s bookstore might be just the place, and a friendly worm or two might be more than just bait. This entry was posted in Uncategorized on April 26, 2017 by Cynthia Compton.